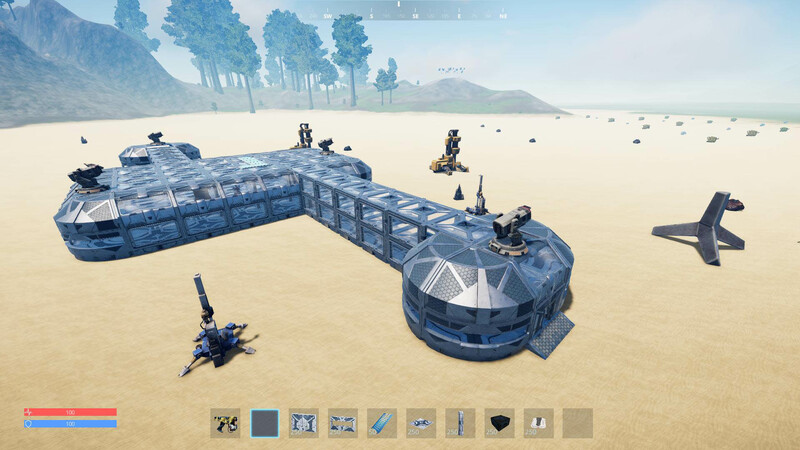 Saving system, server backend - the mighty T2 mech and a lot of new content. We have been busy with some serious backend stuff. The problem with backend tech is – you don´t see any progress. But it was important to do this! We have worked on the server configuration tools, auto update, password protection and preparing the files for server providers. It took way longer than expected. But we´re almost done! 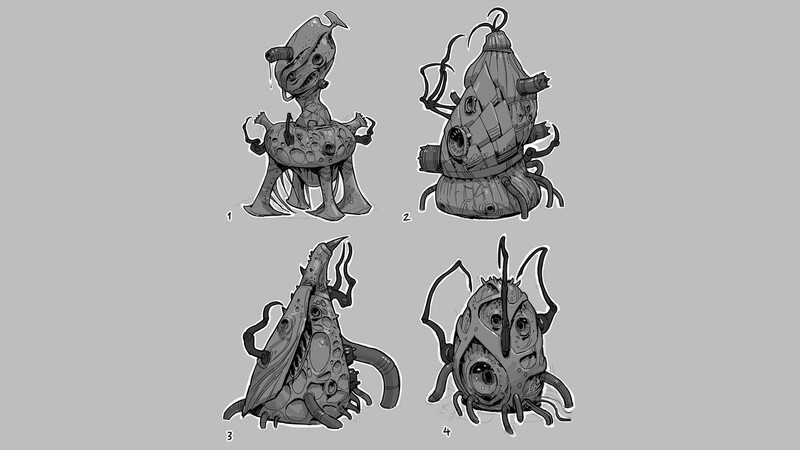 Tyson has worked on a few different concepts for Pantropy. 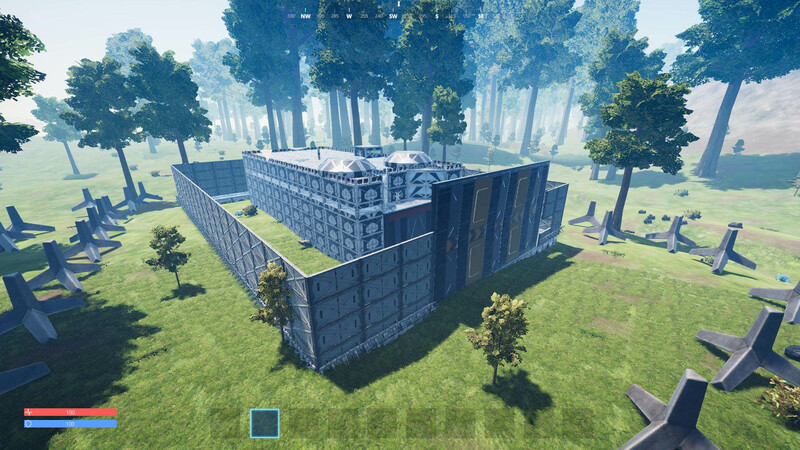 I have noticed that we could need a more additions to the base building system after I watched players building crazy stuff on the test sever. 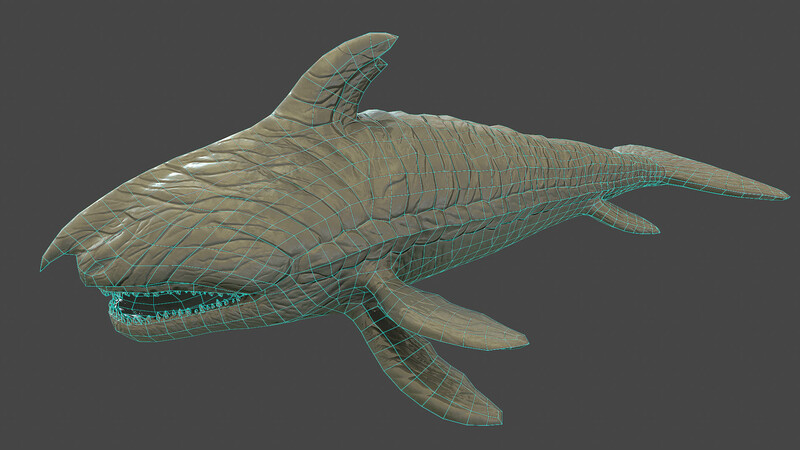 Pantropy is getting some big floaty creatures. 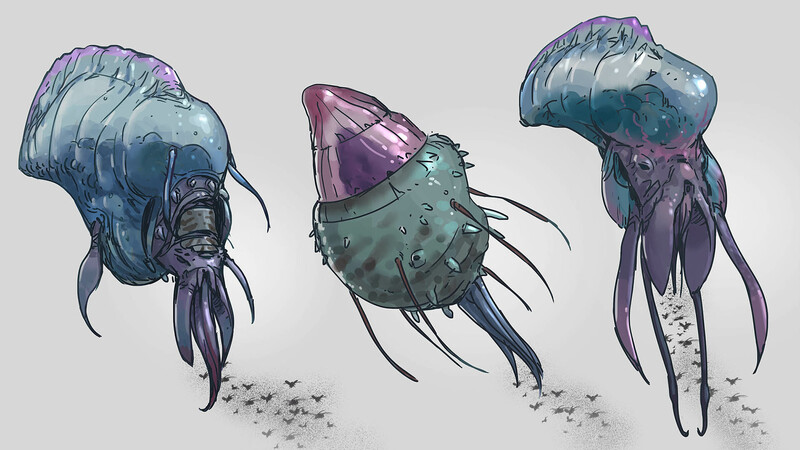 These are friendly creatures and will populate the sky of Pantropy. 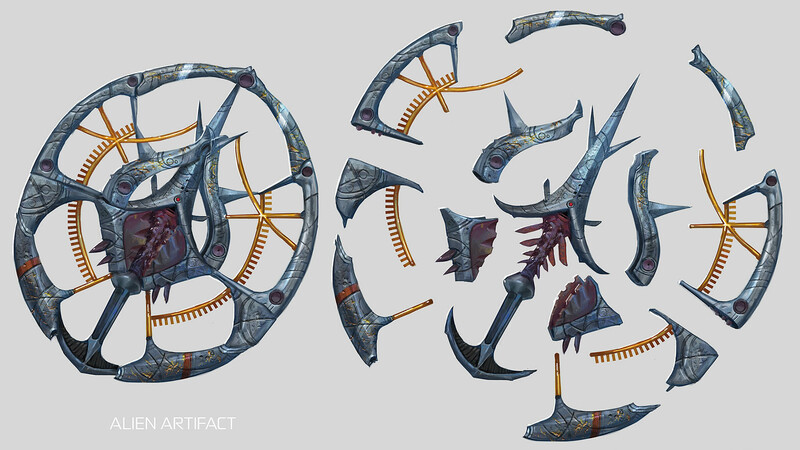 We have also started working on some of the lore items. Don´t expect any spoilers! 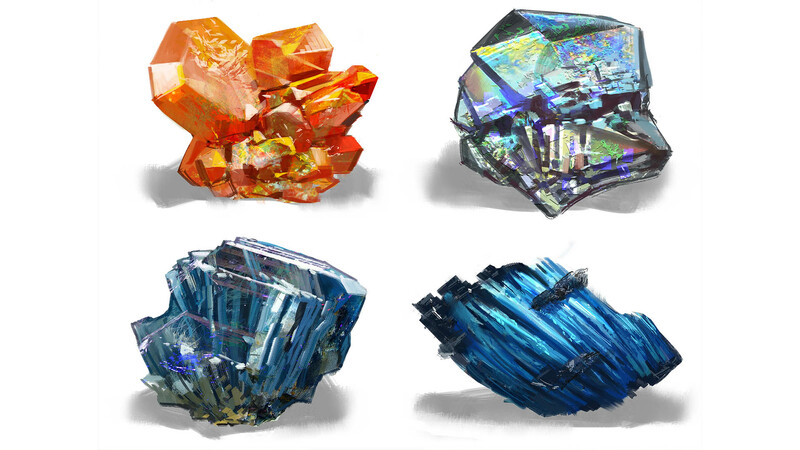 Pantronite is the key element in Pantropy. It´s super rare and you´ll need it to create the best gear and equipment. Tyson has also started some early sketches for the enemy faction bases. 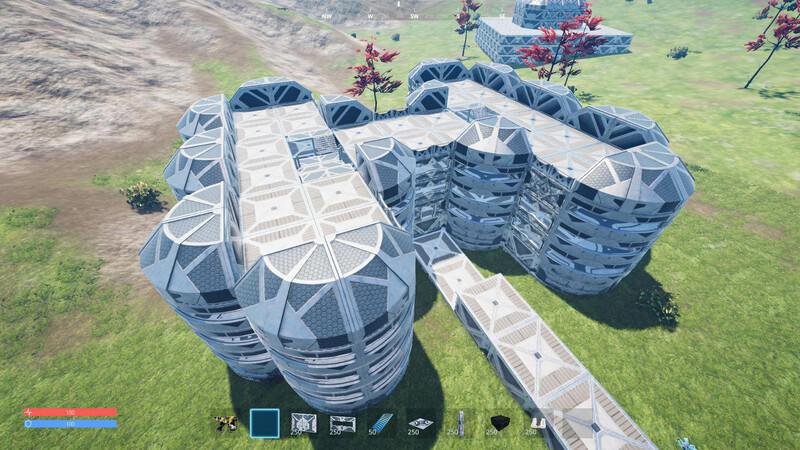 This is what we got for the base core. Julian has finished the new player and server saving system and spent a lot of time on the server backend systems. 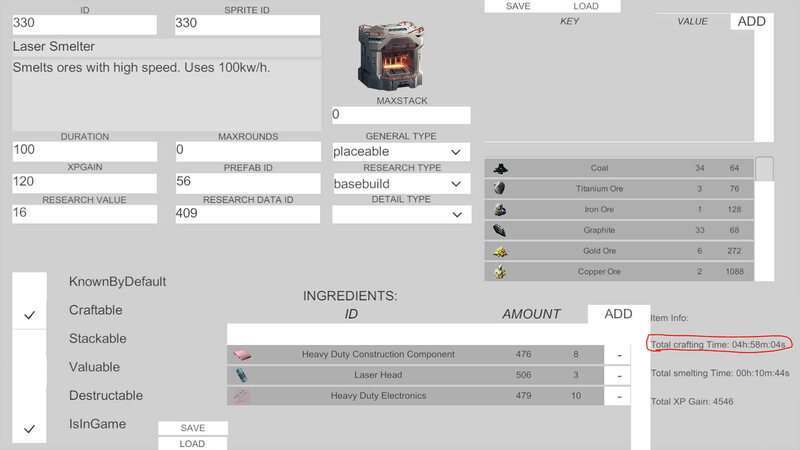 The core mechanics work again and we have written recipes for all 430 ingame items. Julian has created a nice little tool which helps us to implement these and any future items. 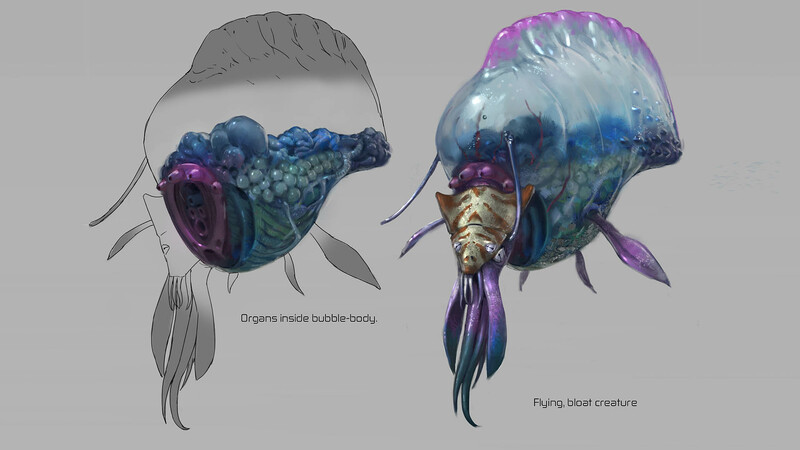 Besides that Julian has implemented a few additional gameplay mechanics and brought back the nucelar reactor and another new energy source! Our testers are busy trying to break the game. Luckily we only get reports of minor bugs. We´ve setup a nice bug report tool that also will implemented into the game soon. 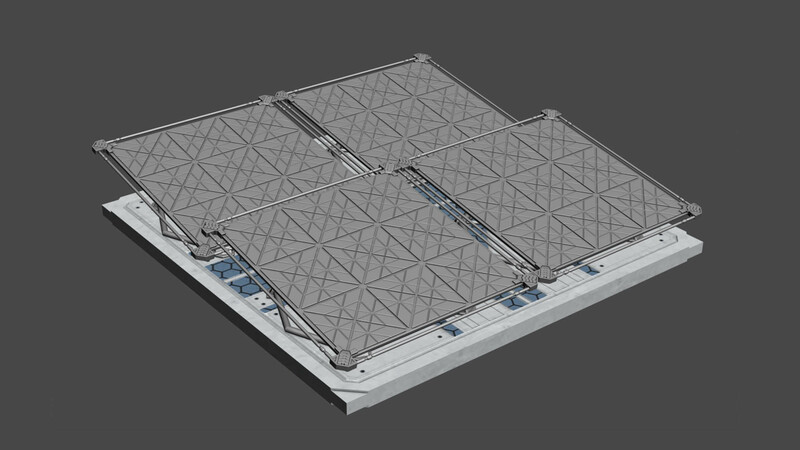 Osman is working on a proper model for the solar cells. We want to get rid of the place holders! 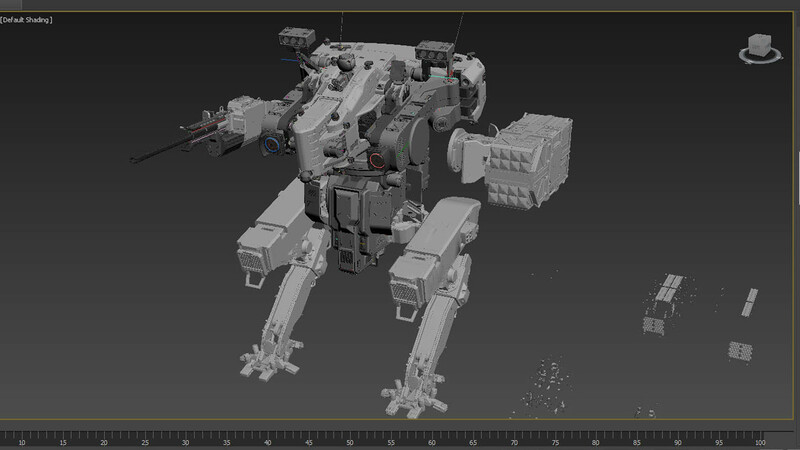 Alex and Alex are working on the T2 mech. 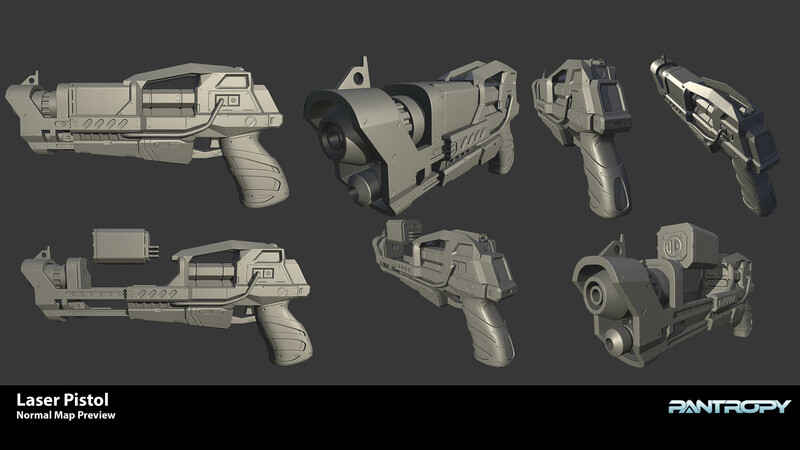 The highpoly is done and the lowpoly should be ready early next week. 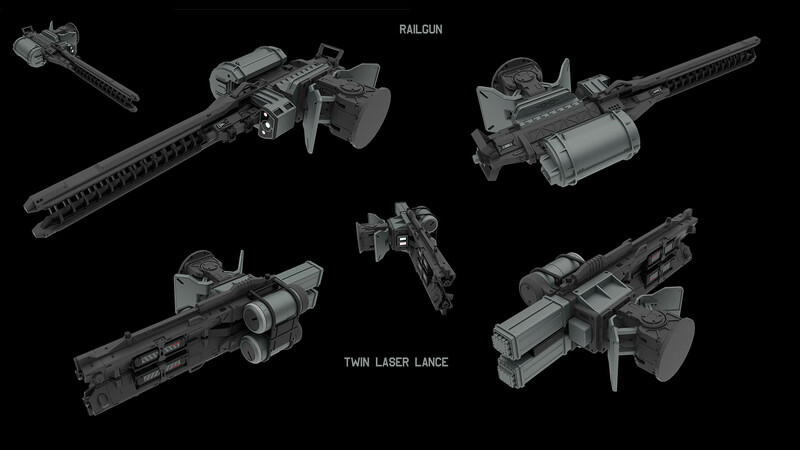 We´ll also get some new weapons for the mechs! 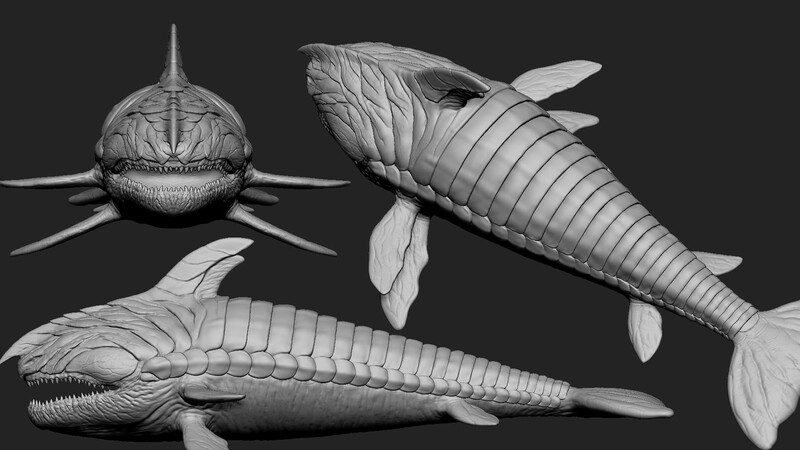 Jim is working on the big shark creature and will soon start on the floaty blob. 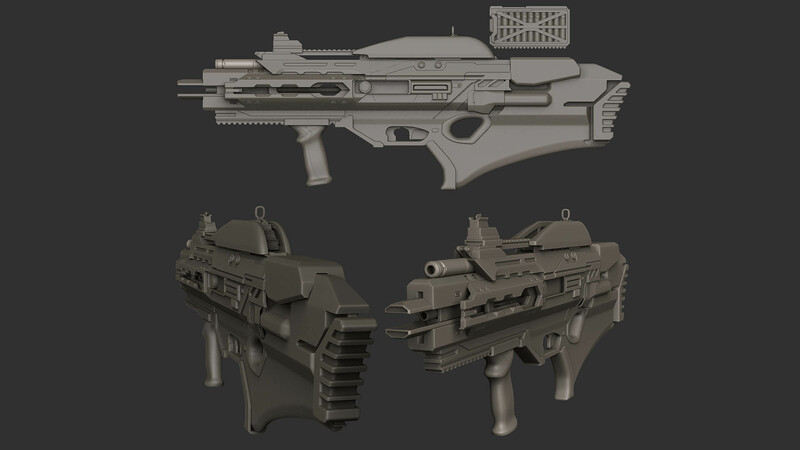 Anjar has finished the highpoly models of the plasma assault rifle and laser pistol. 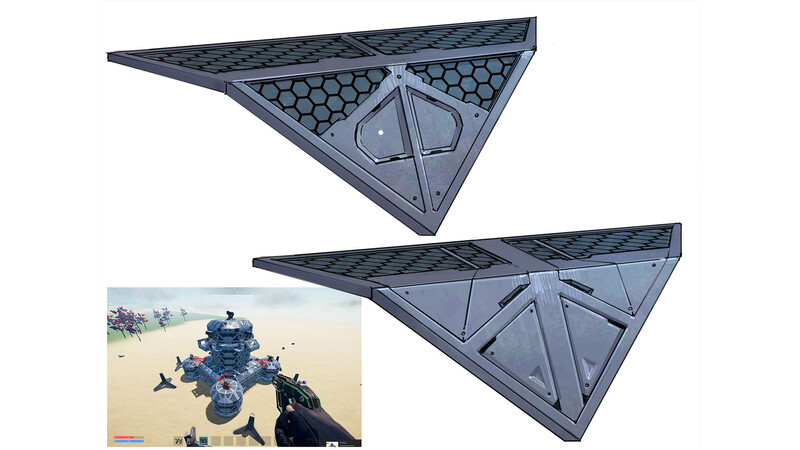 Can´t wait to have these ingame. 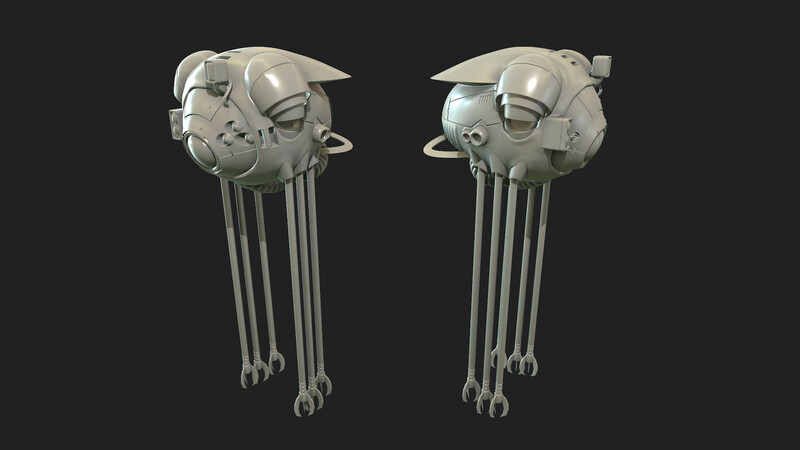 Artem has started to work on the enemy faction builder drone. 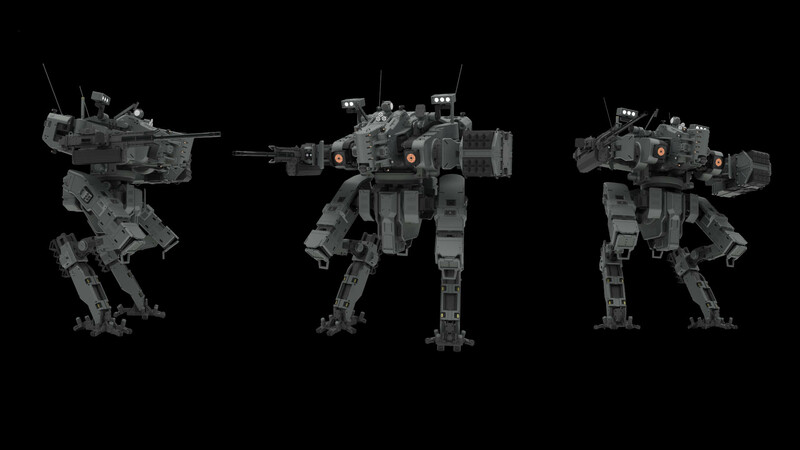 This will be a lot of fun to rig and animate. I am still busy with all the Kickstarter stuff. Graphics, texts, rewards. I am also sheduling live streams with different youtubers for the time when we launch the Kickstarter. Time is running fast! We´re going to launch a Kickstarter on November 7th!